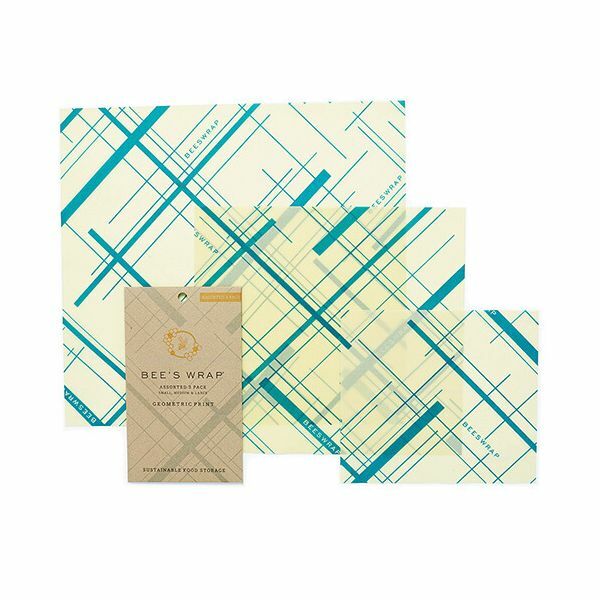 This Bee's Wrap Assorted 3 Pack includes 1 small, 1 medium and 1 large wrap. 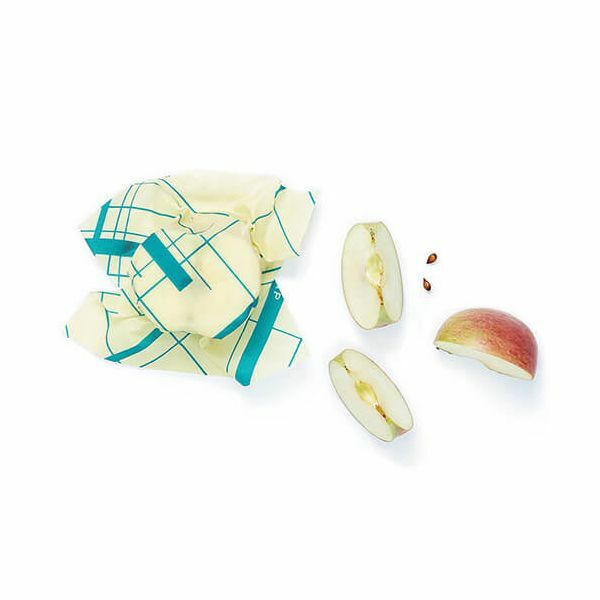 Made from sustainably harvested beeswax, organic cotton, organic jojoba oil and tree resin these wraps feature a bold geometric print in Everybody's Teal. The small wrap measures 7 x 8 inches (17.5 x 20cm) and is suitable for small snacks, a lemon or avocado. 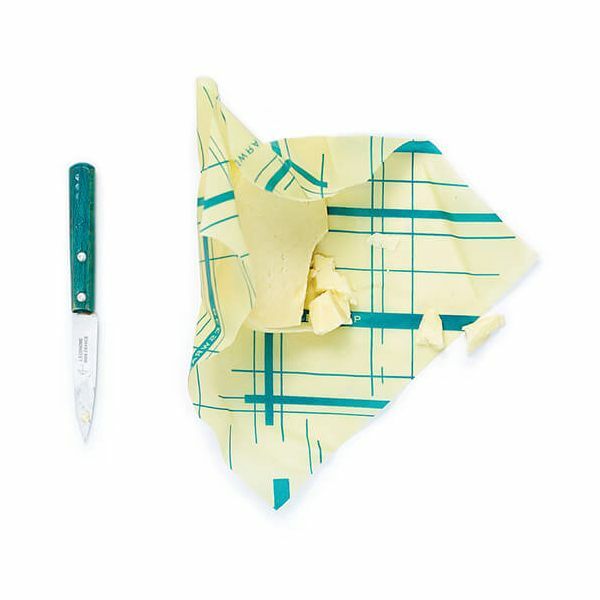 The medium wrap measures 10 x 11 inches (25 x 27.5cm) and can be used for cheese, herbs, carrots or to cover a medium sized bowl. The large wrap measures 13 x 14 inches (33 x 35cm) and is suitable for covering larger bowls, greens, half a melon or baked goods.